Atlético Madrid vs Bayer Leverkusen – Wednesday 19:45 GMT/20:45 CET Estadio Vicente Calderón – Madrid. It has been a tough season for Bayer Leverkusen. Bayer, who started the season with ambitions to challenge Bayern München for the title, are currently stuck in the middle of the table. While Bayern and Dortmund are among the favourites to win the tournament, Bayer’s poor result in the first leg against Atlético means that unlike their fellow Bundesliga teams, they are not ranked among the favourites to win the competition by Sports Betting Dime. Before the season kicked off, several promising players supplemented an already strong squad including the likes of Kevin Volland, Julian Baumgartlinger, Leon Bailey, and Aleksandar Dragović. At times Leverkusen has shown glimpses of the almost endless potential that is available in the squad. The squad, however, has been at best inconsistent all season. Moments of brilliance were too often overshadowed by moments of madness, which was shown in the second half of the seaon. Bayer started die Rückrunde with a 3-1 victory over Hertha Berlin, but then lost against Gladbach and Hamburg. The negative results were followed with two wins against Augsburg, and Eintracht Frankfurt. Furthermore, Mexican superstar Chicharito seemed to have rediscovered his scoring touch. At that point there was still hope that the club could salvage the season. But what followed was a 4-2 defeat to Atlético Madrid where the club lacked total defensive stability. Centre backs Ömer Toprak, who will leave the club for Borussia Dortmund at the end of the season, and Aleksandar Dragović, bought for €17 million from Dynamo Kyiv at the beginning of the season, seemed to be completely lost in the first leg against Atlético. Both defenders bring plenty of experience, but the tactics of head coach Roger Schmidt appeared at times suicidal. After the defeat to Atlético it seemed unimaginable that Bayer Leverkusen would hang on to head coach Schmidt. Two more defeats, including a 6-2 destruction at the hands of Borussia Dortmund, however, was enough for Bayer’s management. Schmidt has since been replaced by Tayfun Korkut, who has shown in the past that he is a tactical astute manager, yet has to this date been unable to bring stability to any of the clubs he managed. Korkut will now be in charge when Bayer visits Atlético in Madrid. The Germans will have to overcome a 4-2 deficit, which means that they will have to score three unanswered goals in order to advance. While German clubs carry a mantra of never giving up it is hard to imagine that Bayer will overcome this result. Atlético in fact have shown in the first leg that their firepower is simply too much to handle for a Bayer Leverkusen side that is lacking tactical stability. Despite their problems this season Bayer Leverkusen have many talented players. Their biggest star is without a doubt Chicharito. But young stars Julian Brandt, Benjamin Henrichs, and 17-year-old Kai Havertz will catch the eye of many scouts that will watch the game. Julian Brandt, and Benjamin Henrichs have recently been linked to Bayern. Kai Havertz in the meantime is the latest talent of Germany’s conveyor belt of young and talented players. Atlético Madrid in the meantime have plenty of talent in the line-up. 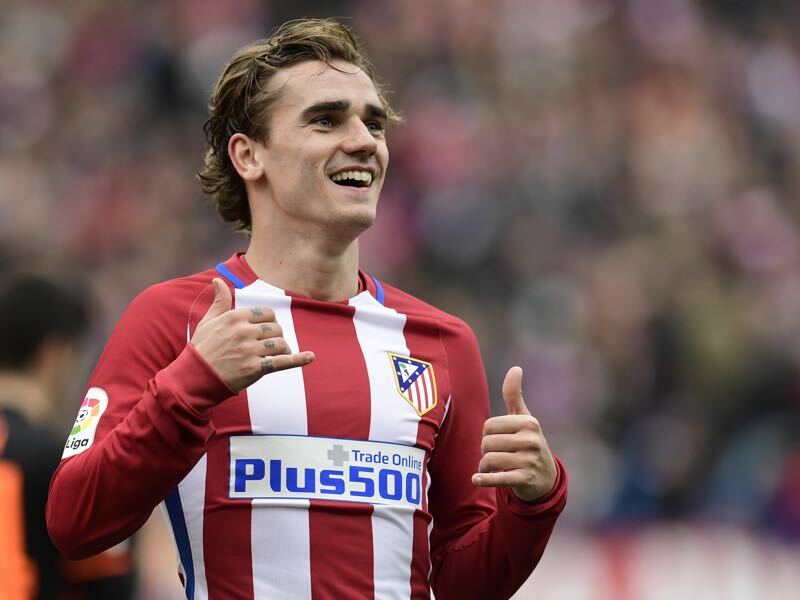 The most standout player is superstar Antoine Griezmann. The Frenchman has recently been linked to Manchester United, but has put a major damper on the hopes of United fans when he stated that he does not fancy a move to England “because of the weather.” Another player to watch out of is Belgium national team player Yannick Carrasco, who is always a danger up front. The German club’s record against Spanish teams is W10 D7 L19. 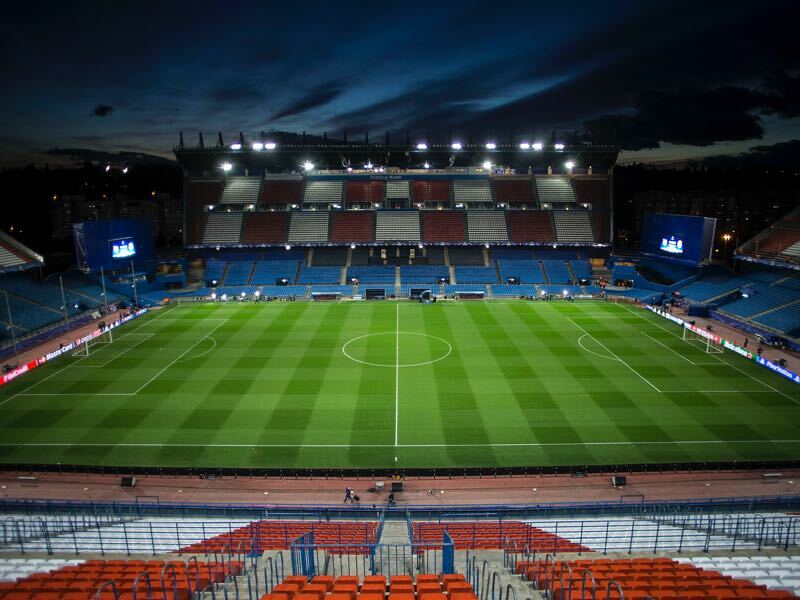 They have won 28 of their last 33 European matches at the Vicente Calderón, losing just twice. Atlético are on a seven-match unbeaten run at home to German clubs (W6 D1), dating back to a 1-0 defeat by Borussia Dortmund in the 1996-97 group stage. Their home record against Bundesliga opposition is P17 W12 D2 L3.